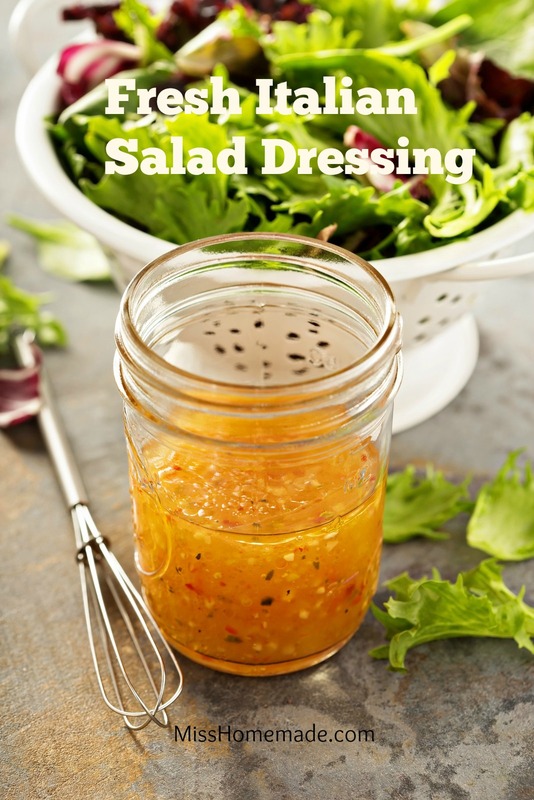 This homemade Italian dressing from scratch is so delicious, you'll want to put it on everything. Mix up the base and keep it stored in the pantry. When ready to make a batch, add oil, vinegar and water; it's ready to go. Combine all ingredients and whisk until well incorporated. Pour into a glass bottle and refrigerate overnight before using. Shake well before serving. This is the recipe that you can make ahead and store in the pantry until you need it. Whisk garlic, sugar, mustard, 1-1/2 teaspoons salt, 1/2 teaspoon pepper, red pepper flakes and red wine vinegar in a medium bowl. Whisk the other oils together and add the spice mixture in a slow, steady stream. Whisk continually until emulsified. Whisk in fresh herbs and taste to see if you need more salt and pepper. Refrigerate for up to 1 week - but I don't think it will last that long. 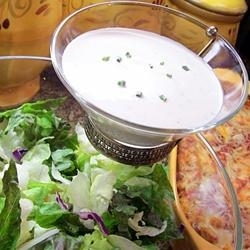 For more homemade salad dressings and authentic Italian food recipes - click on link below.